A new report by the University of Notre Dame’s Institute for Latino Studies (ILS) examines how gender affects Latino men’s and women’s savings for retirement and concludes that there is a need to develop programs to empower lower-income women and men to save for retirement. The research report, directed by Karen Richman, a Notre Dame cultural anthropologist, applies a novel, interdisciplinary approach to the role gender plays in Latinos’ inability to save for retirement, combining anthropological and economic theories and methods. 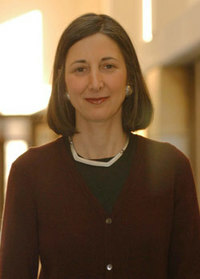 The methodology used to understand the context and meaning of gender in Latino retirement includes statistical analysis of national census data from the Survey of Income and Pension Participation (SIPP) and the Health and Retirement Survey, and a qualitative case study of foreign-born Mexican immigrants’ and native-born Mexican-Americans’ retirement savings in metropolitan Chicago. The research was conducted between 2012 and 2014, and was composed of individual interviews, focus groups, questionnaires and participant observation in Mexican neighborhoods and at a Mexican immigrant senior center. The study extends previous research Richman conducted for ILS on the complex causes and consequences of Latinos’ inability to save for retirement. With support from the National Endowment for Financial Education, Richman and her fellow researchers investigated the relationship of Latinos’ employment, citizenship, household income and resources to their low rates of pension eligibility. They then moved from the examination of these structural-economic factors to social and cultural institutions to investigate how low-wealth Latinos’ “investment” in collectivist, and often long-distance, networks substitute for savings in the formal retirement systems. A key finding of the earlier research was how collectivism, the emotional and material interdependence between the members of families and social networks, could hold powerful sway over Mexican immigrants’ ideas about savings. “Confianza” is the word Mexicans use for the intangible resource or cultural capital that carefully builds to establish social wealth and security. Mexican-heritage women and men are far more alike than different in attitudes toward earning, exchanging and saving more within social networks based on confianza. Mexican-heritage women and men are equally collectivist, a contradiction of stereotypes portraying women as more dependent on relationships and more rewarded by independence. Those with collectivist sentiments are less likely to contribute to retirement savings accounts. The report concludes that the more rooted they are in the United States, the less Latinos expect their children to support them in their old age. They believe that they have to secure their own retirements. The findings confirm that income, more than gender, has a significant effect on Latinos’ and Latinas’ likelihood to save for retirement even after controlling for other demographic variables. Unfortunately, the stubborn persistence of race and gender gaps in earnings limits Latinos’ abilities to save for retirement. For every dollar earned by white men, Latino men earn 67 cents, white women earn 78 cents, African-Americans earn 64 cents and Latinas earn only 54 cents. Lower earnings make women voluntarily choose not to participate in pension plans, and also constrain their ability to accumulate savings. 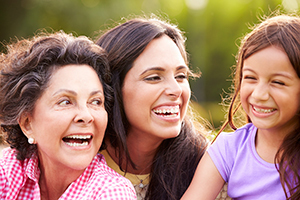 Latinas have much lower retirement account balances than any comparable demographic. Latinas’ participation rates are increasing among citizens and those who have been in this country for more than two decades. The problem is that those of lower- or middle-income levels often see their retirement savings as a source of liquidity. They deplete their defined contribution funds through loans and early withdrawals, and pay the penalties. But an ever-greater danger looms when these workers change jobs or leave work to retire. Latinas are even more likely than Latinos to liquidate their pensions with a lump-sum payment and to spend rather than reinvest the funds, obliterating their nest egg in one fell swoop. This behavior is the unfortunate consequence of a mismatch between the rules of defined contribution retirement savings programs, which were originally designed to benefit high-income savers, and the needs of low-income workers, who face limited funds, job insecurity and discrimination by race, gender, language and/or citizenship. As long as their manifold insecurity and their cooperative adaptations to it continue, increasing enrollment in the existing, punitive structure of tax-deferred defined contribution plans is unlikely to increase their retirement security and may, through loans, withdrawals and lump sum payments, undermine their savings for retirement. Latinos in the study’s focus groups reiterated their desire to save for retirement. They described their ideal retirement savings program: a simple, risk-free, long-term savings plan. They do not want to have to make complex decisions about where or how to invest the money. Fortunately, a guaranteed savings plan like the one they envisioned has materialized: the United States Department of Treasury’s myRA (my Retirement Account) program. Latinos, in particular, will benefit from participating in myRA because it is: 1) automatic, depositing passively every payday; 2) portable — it is not tied to a single employer so participants don’t need to withdraw or rollover into other plans every time they change jobs; 3) open to part-time and full-time workers; 4) affordable — there is no cost to open an account and it does not require large minimal contributions; and 5) guaranteed by the U.S. Treasury. Unlike the defined contribution plans, the myRA is not tax-deferred, but low-income workers do not tend to benefit much from tax-deferred plans. Finally, there is no penalty for withdrawal. Richman’s research team is concerned that this feature may make it too easy for participants to deplete their funds, but it does remove the costly penalties shouldered by current retirement contribution plan participants. The ILS report can be found here: latinostudies.nd.edu/assets/190590/fullsize/richmansignificance_of_gender.pdf. Originally published by William G. Gilroy at news.nd.edu on February 25, 2016.